Melba – an energetic and joyful owner, is the fastest speaking person on the earth, as I assume. You need to listen to her live! It’s a cult place – right here the Pixar’s producers, having an idea of the movie “Cars”, but without characters and story for the moment, found original Tow Mater. 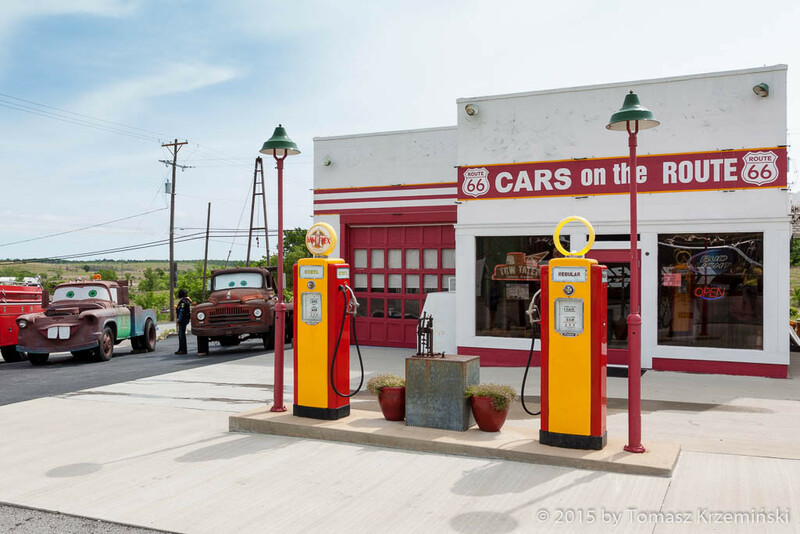 Every thing and every character in this movie is a real place and person on Route 66. 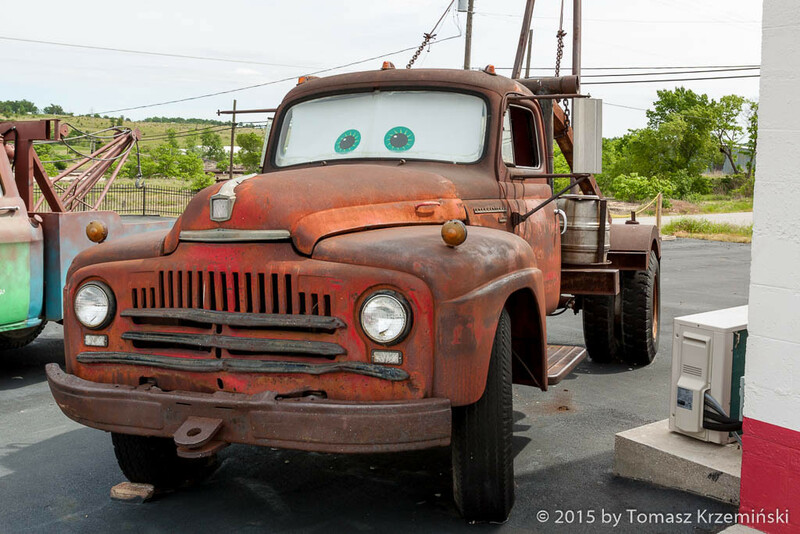 The story of original Tow Mater is interesting – first Renee, who is Melba’s sister and co-owner, found this boom truck on a farm near the town. The farmer sold this truck cheap, almost as a scrap, and the ladies decided that it will draw attention to their newly opened place. They couldn’t foresee that Tow Mater will become a hero of a movie, so popular and loved by so many kids all over the world. Before the movie was released, the owners needed to sell the truck for financial reasons. But when the movie became so popular the producers helped Melba and Renee to recover Tow Mater, and it came back where it belongs. 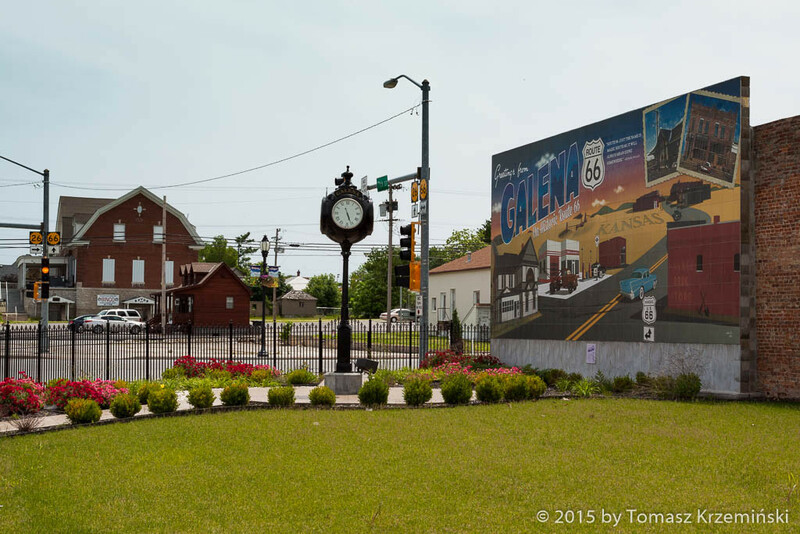 Although Galena is a small town with nothing specially interesting, there’s a lot of incoming bus trips to “Cars on the Route 66”. 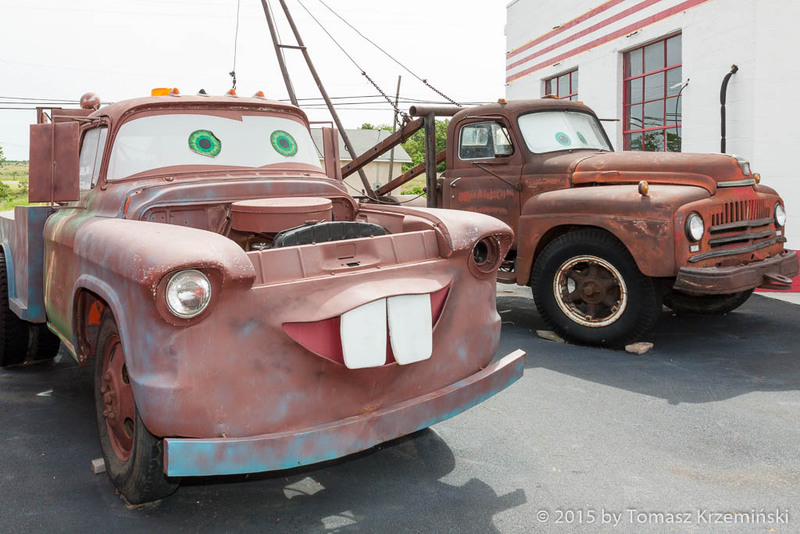 Visitors want to see this famous place and a real Tow Mater with their own eyes. For kids fun next to the original Tow Mater stands new Tow Mater identical with the one in the movie. 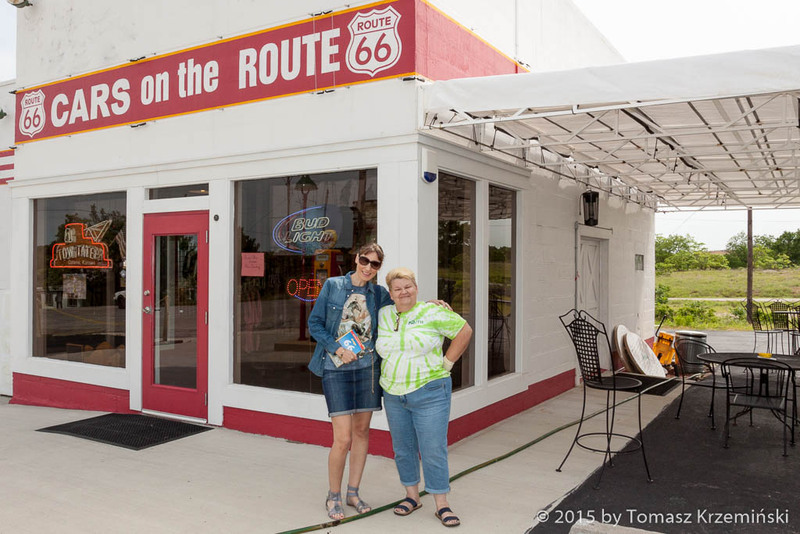 Route 66 goes through Kansas for only 11 miles, which is 18 km. That’s why we said “Bye, bye Kansas” very quickly. Length of Route 66 in Kansas is ca.13 miles (ca. 21 km).